other information Cló Iar-Chonnachta CICD 110, 1995. 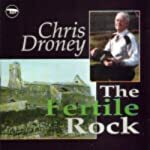 Recorded in Galway. Notes by Nóirín Ní Ghrádaigh, Antóin Mac Gabhann, and John O'Donohue.